News > Schools > Does AI have a place in the classroom? Does AI have a place in the classroom? Although in the past few years we have become increasingly aware of the positive impact AI is having on people’s lives – helping doctors detect illnesses, and assisting in combating cybercrime – the mention of AI in education is still likely to bring the unwelcome image of robot teachers to mind. However, with AI playing an increasingly integral role in organisations such as NASA, the NHS and GCHQ, could it be time for education to embrace such new technology and its benefits? While algorithms will never replace good teachers, with their invaluable human skills and knowledge, there are some exciting ways that AI can help schools spot patterns of progress, and identify pupils who are having difficulties with their learning. Take for instance, Lexplore’s new tool – showcased at Bett 2019 for the first time – which by tracking how a child’s eyes move, can offer teachers an insight into the cognitive processes behind reading, and within minutes, highlight those who might be struggling with difficulties, such as Dyslexia. Jayne Mullane, Headteacher at Mersey Vale Primary, has found artificial intelligence is having a hugely positive impact on her pupils’ reading attainment. Like many other schools, Mersey Vale has previously used a mixture of traditional comprehension tests and teacher assessments to evaluate pupils’ reading. But innovations, such as Lexplore’s revolutionary eye-tracking assessment, have given them a startling new insight into reading and have been welcomed into their classrooms. By recording how a child’s eyes move as they read a piece of text, and measuring how long the eyes rest upon individual words, Lexplore’s assessment has enabled teacher’s to obtain the valuable information they need in minutes, without the need for administrative in put adding to their workloads. 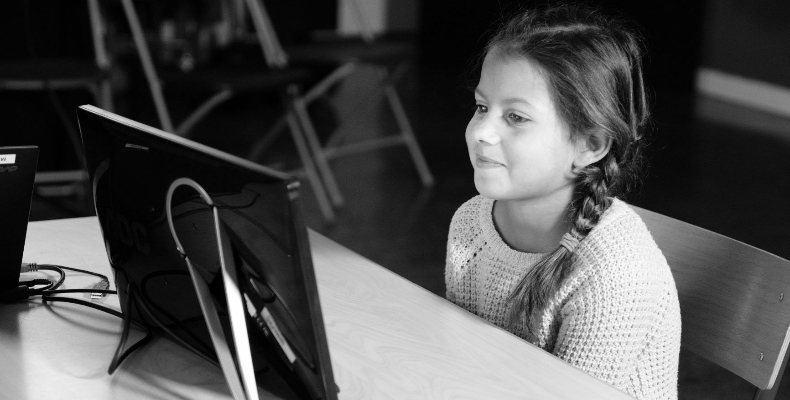 Developed following an extensive research process, Lexplore’s algorithms are able to pinpoint specific areas requiring intervention, and pick up on specific correlations which could suggest a child is struggling with difficulties like Dyslexia, all in a matter of minutes within an entirely computer-based assessment. Although the technology behind Lexplore’s assessment may sound complicated, the process is remarkably simple. Although the technology behind Lexplore’s assessment may sound complicated, the process is remarkably simple. The tests themselves have been quick to administer, and as they take only a few minutes per child, they have enabled teachers to dedicate their time to the children rather than testing processes. Although much brainpower and research has gone into developing the eye-tracking technology, the test itself is fun to do. From the pupils’ point of view, the Lexplore assessment is fun, enjoyable and interesting. Readers of all levels have loved doing the tests, and it has made for a welcome change from the written assessments they are used to. But one of the main benefits AI brought to Mersey Vale, was that the technology helped uncover valuable, new information. Such difficulties cannot be hidden from the machine, and when the results of the test were shared with the pupil’s mother, it was revealed that the pupil was often reluctant to read at home. We live in an exciting age! Advancements in AI – combined with the traditional know-how of our teachers – can help children develop the reading skills they need as the cornerstones of their educational journey. Perhaps one of the most impressive things about this technology is that fact that it actually learns from the data it collects. Therefore, the more it is used in schools the more accurate a picture of reading it is able to give!